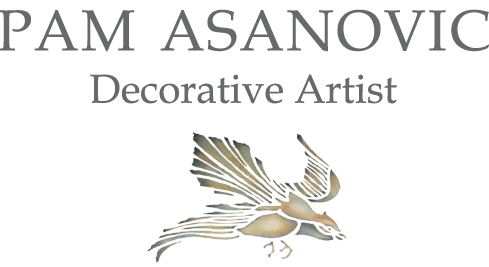 Pam Asanovic is a Bath-based decorative artist, who has worked on large-scale projects in the United Kingdom, Spain and the United States. She has been enhancing beautiful homes for more than twenty years, and her work has appeared in a number of international home and decorating publications. 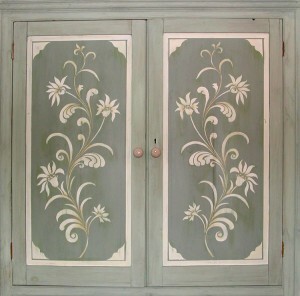 Pine wardrobe, transformed into hand-painted heirloom piece. See Furniture. 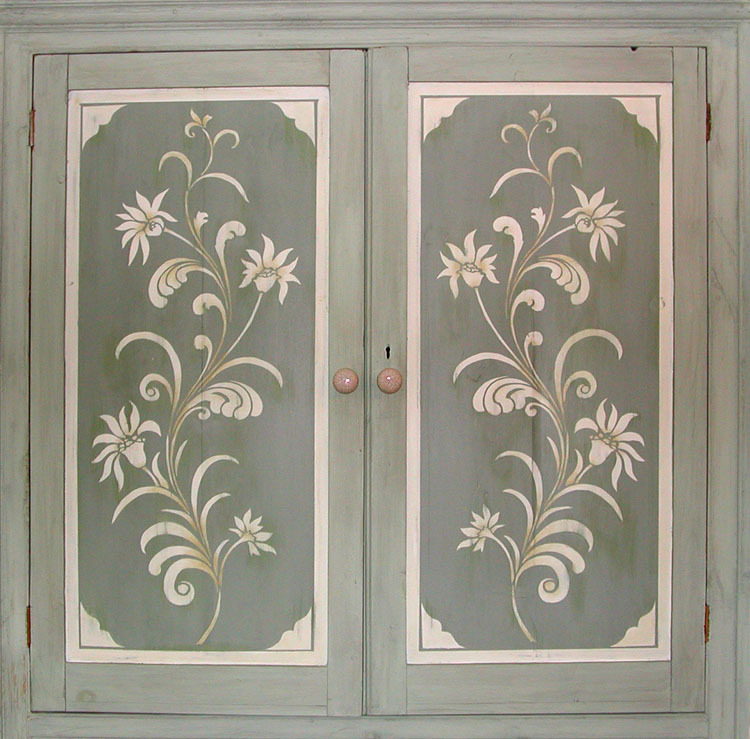 Pam Asanovic has worked on beautiful home projects throughout the world. In addition to private commissions, she works with interior designers on major projects. Three years ago, she launched her range of hand-painted accessories which are available for online purchase. 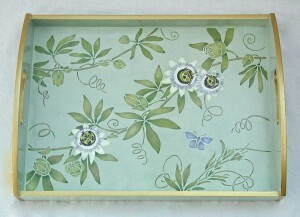 Her trays and bins are small works of art, each designed, hand-painted and signed by the artist.